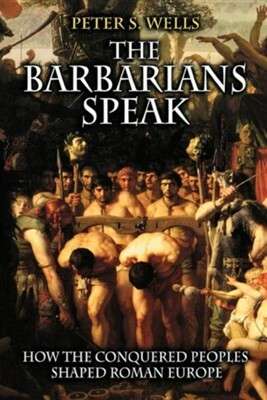 "The Barbarians Speak" re-creates the story of Europe's indigenous people who were nearly stricken from historical memory even as they adopted and transformed aspects of Roman culture. The Celts and Germans inhabiting temperate Europe before the arrival of the Romans left no written record of their lives and were often dismissed as "barbarians" by the Romans who conquered them. Accounts by Julius Caesar and a handful of other Roman and Greek writers would lead us to think that prior to contact with the Romans, European natives had much simpler political systems, smaller settlements, no evolving social identities, and that they practiced human sacrifice. A more accurate, sophisticated picture of the indigenous people emerges, however, from the archaeological remains of the Iron Age. Here Peter Wells brings together information that has belonged to the realm of specialists and enables the general reader to share in the excitement of rediscovering a "lost people." In so doing, he is the first to marshal material evidence in a broad-scale examination of the response by the Celts and Germans to the Roman presence in their lands. The recent discovery of large pre-Roman settlements throughout central and western Europe has only begun to show just how complex native European societies were before the conquest. Remnants of walls, bone fragments, pottery, jewelry, and coins tell much about such activities as farming, trade, and religious ritual in their communities; objects found at gravesites shed light on the richly varied lives of individuals. Wells explains that the presence--or absence--of Roman influence among these artifacts reveals a range of attitudes toward Rome at particular times, from enthusiastic acceptance among urban elites to creative resistance among rural inhabitants. In fascinating detail, Wells shows that these societies did grow more cosmopolitan under Roman occupation, but that the people were much more than passive beneficiaries; in many cases they helped determine the outcomes of Roman military and political initiatives. This book is at once a provocative, alternative reading of Roman history and a catalyst for overturning long-standing assumptions about nonliterate and indigenous societies. I'm the author/artist and I want to review The Barbarians Speak: How the Conquered Peoples Shaped Roman Europe.